Mike McCarthy is out as head coach of the Green Bay Packers. After losing to the Arizona Cardinals, the Packers fell to 4-7-1 and Packers management decided it was time for a change. Packers offensive coordinator and former Miami Dolphins head coach Joe Philbin will lead the team for the rest of the season. 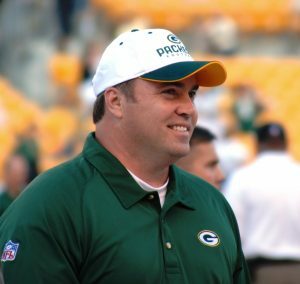 McCarthy was 135-85-2 as a head coach, guiding the Packers to a win in Super Bowl XLV in 2011. He also led Green Bay to the playoffs nine times, including eight straight appearances from 2009 to 2016. Despite this success, many blamed the head coach for not getting more out of quarterback Aaron Rodgers. Reports of tensions between Rodgers and McCarthy have been circulating for months. The Packers are now half a game out of last place in the NFC North, and the firing of their head coach signals a surrender on the season. McCarthy is expected to get another chance around the league, being linked to teams like the Cleveland Browns.